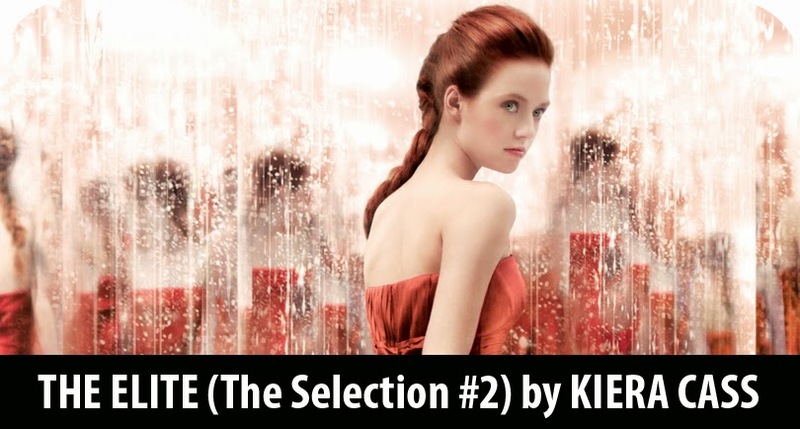 Last summer, The Selection was one of my super fast reads. 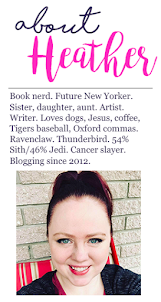 I picked it up on my Nook after seeing the book everywhere, from your traditional bookstores, to my Walmart (which has almost no YA books), to even a grocery store. I figured a book that was showing up everywhere had to be something special. While I enjoyed the characters and immediately found myself on Team Maxon, I thought the plot was just a little too thin and the language a touch bland. But I loved the idea of the story and found it to be a really interesting dystopian take (which is an achievement in and of itself since the field is over populated right now -- and not in a good way). Despite feeling like it was almost written in the language of more of a middle-grade book, I found myself really excited for the second installment of The Selection Trilogy, if a little hesitant -- I was worried about a potential sophomore slump. 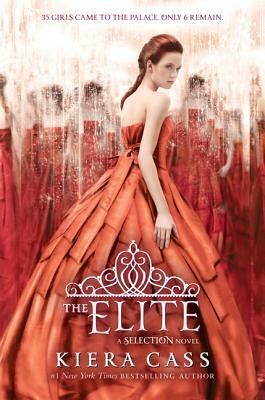 But Kiera Cass's The Elite is anything but disappointing. Immediately, I found myself more engrossed in the book and tearing through the pages, yet trying to savor them. Where The Selection really served as a set-up to the rest of the series, The Elite comes barging in with intriguing plot twists, a love triangle that keeps things interesting, an incredible dynamic between the remaining contestants, a touch of mystery (the true history of Illea), and the emergence of a true villain in Prince Maxon's father. In this book, we see selection contestant America Singer really blossom as she explores what it would mean for her to be a princess and, eventually, queen. Once uninspired by the role, the more she learns about the state of the world and, with the help of Prince Maxon, discovers that Illea's past is not exactly what she (and its citizens) were led to believe. A midst constant raids and attacks from the northern and southern rebels, America finds herself growing closer and closer to Maxon, but struggling with her changing feels, especially as Aspen waits impatiently in the wings, unyielding in his devotion to her. By the newly rediscovered holiday of Halloween, America and Maxon appear to be near engagement, but then, in an instant, the landscape in front of her warps and twists into something unimaginable and dark. Marlee, one of America's competitors, but more importantly, her closest friend, is found in a compromising position with one of the palace guards and is publicly caned on television, while America fights to save her. As a part of the final six girls, America finds herself up against the wall, as King's disapproval of her becomes more and more apparent. The contestants are put to test with challenges that force them to take on some of the responsibilities that they would have, if selected, in a televised presentation. Here, they set forth a charitable effort or plan for the betterment of Illea. However, America uses the opportunity to lash out against kingdom and Maxon, who has grown distant since Halloween and is spending more and more time with the other girls, especially Kriss, who he has decided would be a suitable alternative to America, should she not come to terms with the royal lifestyle soon. The presentation quite literally rocks the entire kingdom and nation and finds America cast out of the competition. Moments before her departure, she finds herself rescued by Prince Maxon when the castle comes under attack and they are forced into hiding in one of the building's many shelters. It is here that America discovers Maxon's darkest and most crucial secrets and ultimately saves his life, earning a spot back in the competition -- but not without a tongue lashing from the King. In short, The Elite moves much more quickly and has more surprising and mysterious plot twists than its predecessor -- and it certainly lives up to all the hype. I gave the book 4.5 hearts because I found myself annoyed with America frequently, who is paranoid and suspicious to a fault. America is often conniving and seeks revenge without knowing the whole story. As a Gossip Girl fan and a worshiper at the altar of Blair Waldorf, I'm all for getting the last word in, but even Blair tries to get her facts straight. Furthermore, I feel like America wasted too much time on Aspen. In my opinion, America has grown far beyond the person she was when the series began and when Aspen was her one and only. Though Aspen has changed, too, I still find him to be pretty impetuous and also kind of irresponsible with the girl he supposedly loves. After what happened to Marlee, I would've thought he'd be more guarded and wouldn't have agreed to meeting with America secretly, because of the danger that he would've put her in, but he acts selfishly and makes demands of her without realizing that he is not the only one who has changed -- America has evolved and has seen and heard things that have changed her, too. Falling in love with someone else isn't a crime: It's part of growing up. This, I believe, will come to be one of of the major lessons and themes as the series concludes. There is a comfort in revisiting those people, things, and ideas we loved when we were young, but once we've grown or changed (and this can literally happen in the split second it takes for you to see something that changes your outlook on life, or a month separated from everything you used to know), we don't always fit back into that love -- and that's okay. It doesn't mean we loved that thing any less truly or deeply. Cass's sophomore book in The Selection Trilogy will leave fans desperate and impatient for the final installment. The One will be released on May 6, 2014. I really enjoyed this book. It followed on from 'The Selection' very well. I love the characters. The ending is very exciting and I can't wait for the next book.